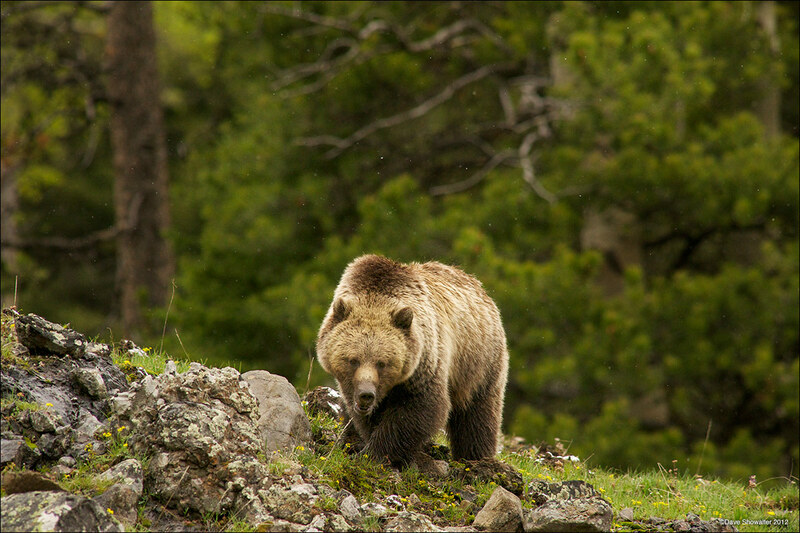 Although the direct stare of a grizzly bear is intimidating, this bear was moving from one foraging spot to another. We watched him turn over rocks and dig for forty-five minutes before he ambled into the forest. The grizzly bear is a keystone predator and an endangered species. Ursus arctos horribilis. Photo © copyright by Dave Showalter.